Image by Gary Davidson from our new issue, at better bike and book shops now. Photo and review by Gary Davidson. 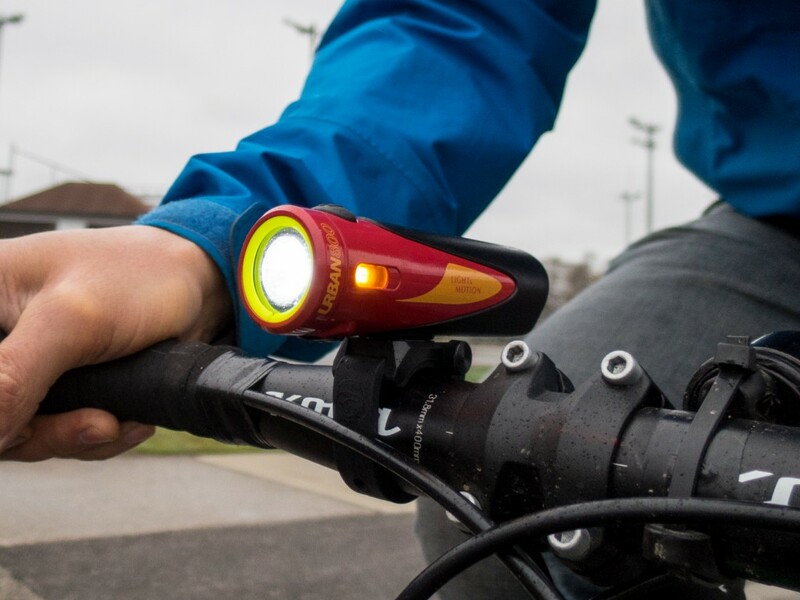 The Fenix BC30R is a heavy duty bicycle light. I did not choose this one for city commuting but for riding in the Don Valley trails at night. It is super bright and casts a wide beam and has a "turbo" feature that momentarily bumps the output to a staggering 1600 lumens from a standard high setting of 800 lumens. This "turbo" feature is operated with a bar (mine is on the grip) mounted glow in the dark switch with a small wire that plugs into the bottom of the unit via the USB charging port. To install the BC30R on the bike requires the included screw type of gripper clamp. This is super robust., and I can attest it will keep your light secure from falls, humps and wheelies. I think if I had to point out the best feature of this two led bulb hefty unit is the illuminated digital display. It is so cool to know how much time you have of light remining on each of the power setting (Eco, Low, Med and High). A great feature; it's like having a gas gauge for your light. Brill. Full disclosure. I was given the Light & Motion Urban 800 to test. Wen I was shopping around for a decent commuter bike light I thought about this one, discarded it for the price and moved on to the tried and true semi disposable turtle light. Ok, so I get this light in the cylinder package and unbox it. 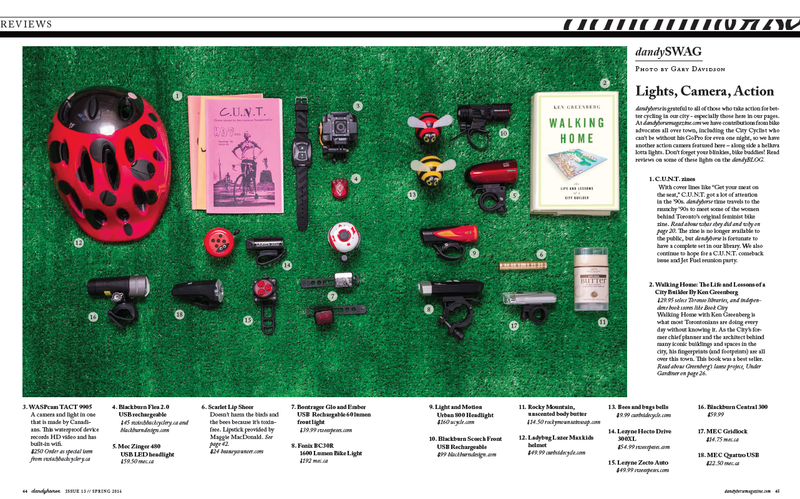 I only then discovered that it can be used as a helmet light as well as the standard handlebar mount. Cool... it can nicely complement my BC30R which is my trail bike light. I decided to give this a good try on my daily commute. First thingI noticed was how easy it was to mount. A simple pull of the rubberized "belt" around the handle bar and place the belt holes into the hard mounted notch and you are good to go. Mount if forward, backward, thick bars, thin bars...who cares? it does it, quickly and easily. The light itself swivels on a mount so you will be sure you have it pointed in the right direction even if you have a serious sweep on your handlebar... or a loop in the case of the Jones Bar. The light is bright and amiable. It has a slow pulsing setting that increases battery life without being an annoying (to me) fast blinkie. At the head of the light has two amber side marker... which are cool, but I question their functionality. The actual waterproof push button operation is a bit stiff to work but seems to do the job once you fet the hand of it. 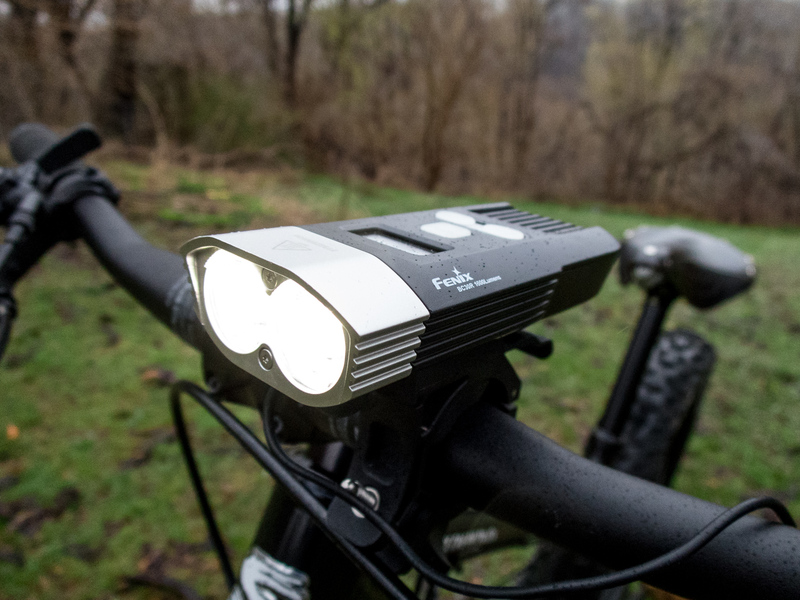 Overall I think this is an awesome commuter light that can play double dute as a complimentary mounted light for off road trail riding. I had the opportunity to test the Wasp Tact GoPro and light combo and was mostly pleased with how it worked. It comes with a lot of parts that allow for you to hook it up to either your helmet or your handlebars, which allows for a lot of flexibility. I tested it on my helmet and found it pretty heavy. It also fit slightly awkwardly when strapped on, which made it hard to get a good angle for a video without it drooping a little. After some adjustment of both my helmet and the camera it worked out really well. It has a light, which I imagine is more meant to be used to be seen rather than to see because it had a flashing setting. I put the videos on the computer and was very happy to see the quality of the video. It was so clear! The unfortunate thing was the audio was also very good, meaning it picked up the wind like crazy. It also (embarrassingly) picked up my squeaky bike brakes, which I promise are getting fixed. Given the weight and the video quality I imagine this camera is more meant for heavy-duty trail riding, because I found it too difficult to justify wearing it around commuting downtown. Great picture quality, very acute sound, and flexibility for mounting, but too heavy for city commuting. 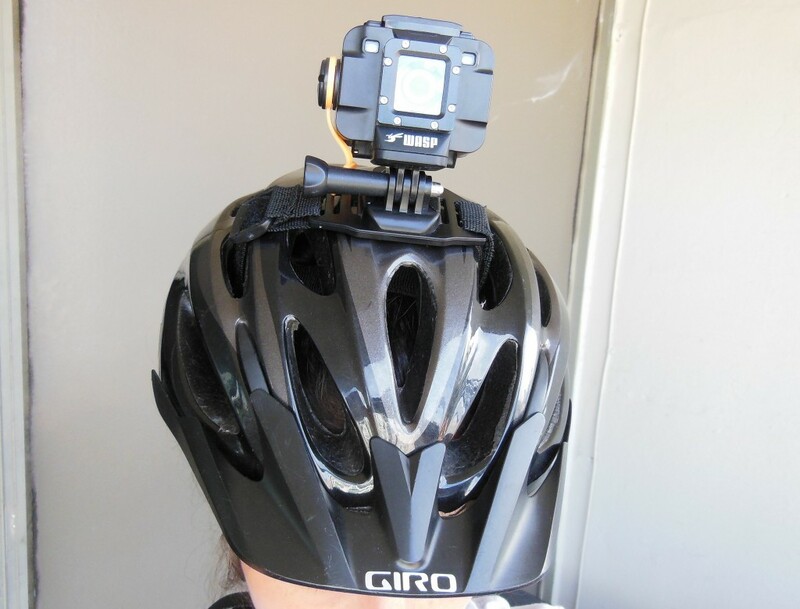 Video from the WASP Tact Go Pro, provided by Switchback Cyclery, and shop review too, coming soon!